Click here for a printable copy of this flier. WELCOME! 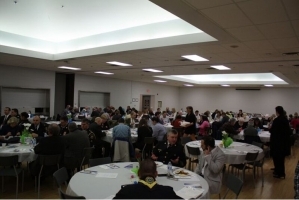 The prayer breakfast is envisioned as an annual, not-for-profit, community event, focusing on gathering to pray for elected officials, business leaders, youth, future and the residents in Newmarket and surrounding Southlakes Region areas. 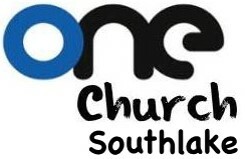 This community, youth and leadership development initiative is growing and provides the unique opportunity to intercede for others! Together we celebrate our dynamic and diverse community, where nothing is ordinary! Here in Newmarket, we deliberately choose to do and live Well Beyond The Ordinary! 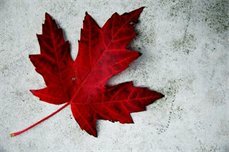 Our Town of Newmarket is an ever-evolving and progressive, eclectic blend of rural and urban, a unique mix of small-town and city living, with an authentic emphasis on fostering community character, where we care for and about one another. Tap into this diverse, vibrant celebration and pledge of support and encouragement for leadership, in all its shapes and sizes. Here, we pause together, to reflect on the ideals, spirit and quality of life of a regional 'growing family'! 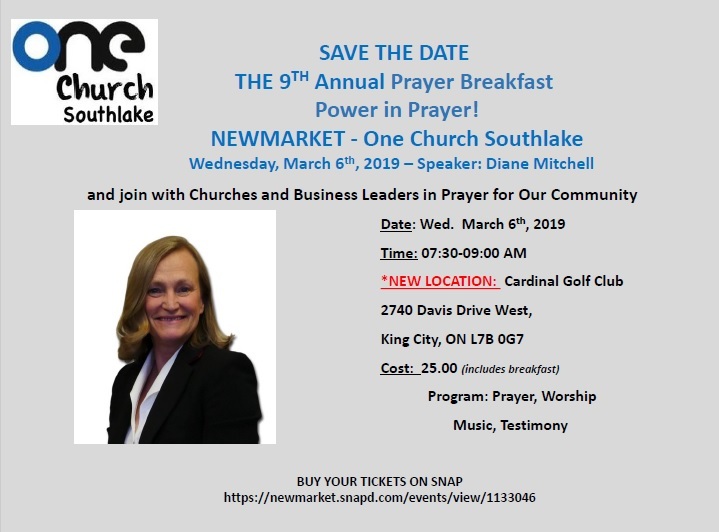 We invite you to come out in 2017 again in great number to support The One Church Southlake Prayer Breakfast, which will be hosted graciously here in the heart of our Newmarket-community, at the Newmarket Community Centre and Lions Hall. ALL ARE WELCOME! Call us today for more information, reserve your seats, get your tickets, and/or participate as a sponsor/partner of this celebratory, community event! We invite all local business, professional and ministerial leaders, to partner with us as we gather and pray for our town, our residents, youth and leaders! You too can help promote and sponsor the event using the resources below. We look forward to hearing from you! STAY TUNED - MORE TO COME! This QR code will get you here quickly! If you need an enlargement, click the QR code to open it in a new window.